This is mostly a bug-fix release, focused on improving the workflow. 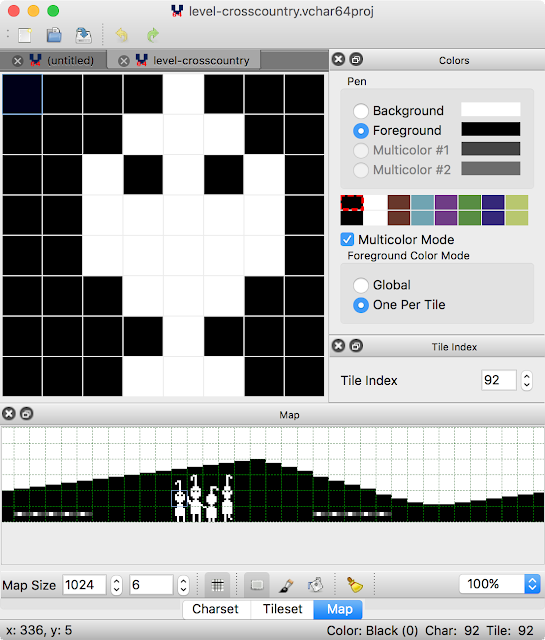 Best tool for creating logos/games map in char/multi modes for the C64 I met until now. Any chance to add a new feature to your tool ? – When selecting an area in Map mode I can’t move this selection, add the ability to move the selection on the map (usefull to center a logo for example).